Packy is a former New Yorker who was born in 1930. When he was 19 years old, he would meet a fellow boxing fan at the Kid Gavilan – Ike Williams match on April 1, 1949, at Madison Square Garden. 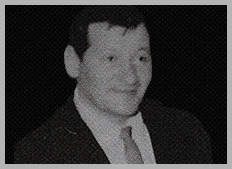 That fellow boxing fan was, Alvin Berkwitt, who also happens to be the late Father of the CEO of Ringside Report, “Bad” Brad Berkwitt. Berkwitt knew Gavilan from Miami Beach and took Packy to Kid’s dressing room to meet him after his win over Williams. A lifelong friendship would be forged between Packy and Alvin which a pre “Bad” Brad was always around to see. Sadly, his good friend and fellow boxing lover, Alvin would pass away on July 2, 1998. Packy would also meet many other boxing legends through Alvin, such as Beau Jack and Rocky Graziano, to name just a few. Being a former New Yorker, Packy is not filtered and always tells it like it is. He has forgotten more than most know about boxing. His nickname “Boom Boom” as he will tell you proudly was given to him by Alvin. One day in the early 1960’s while they were at the old Wolfie’s Restaurant on 21st Street located on Miami Beach, a woman who will remain nameless came up to their booth as they ate breakfast, and told Alvin, “your buddy Packy sure knows how to “Boom Boom” in the BEDROOM”. Alvin and Packy fell out on the floor and the nickname has followed Packy for life. His column “Packy’s World” will be his boxing voice….Like his best friend of so many years, Alvin was, he is not afraid to use it. In the weeks and months to come, look for “Packy’s World” to bring you his thoughts about boxing and many other things if we know Packy “Boom Boom” Goldstein. As he always says, “Oy Vay, you are going to hear it today”. We look forward to hearing it for sure Packy……. Donald “Braveheart” Stewart is a proud Scot who was introduced to boxing through hearing Ali’s fights on the radio or watching the black and white image on the black and white TV in the front room. Since then he has continued to admire and watch all those who put on glove and dance round small halls and arenas whilst lifting a pen on occasion to share his awe in wonder. That includes being published in the UK with such well known sights as Talking Knockouts and now Talking Baws. His football columns have been seen in Scotzine and Last Ditch Tackle. Being old he claims to know a lot and have many memories that old age has yet to wipe clean. 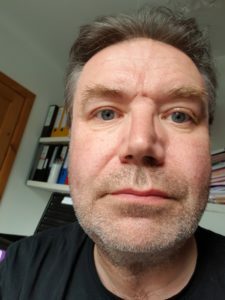 With a healthy interest in football (the original kind with a spherical ball and a world cup) and an unhealthy interest in his home town team, Ayr United, Donald also is a theater reviewer who was once something big in theater in Scotland. Lucci was born in Bayside, New York. He attended the High School of Art and Design, and went on to graduate the School of Visual Arts College in Manhattan. During his college tenure, he trained in the gritty New York gyms as well as several Karate Dojo’s where he achieved Black Belt status in both Tae Kwan Do and Tang Su Do. While grinding out the daily hustle of being a freelance illustrator, he trained with some of the most prominent N.Y. middleweights of the Hagler era. A martial art tournament injury left his knee badly damaged and incapable of the necessary lateral movement needed to turn pro, and was forced to channel his aspirations elsewhere. 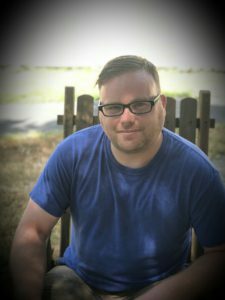 Vinny long explored a series of jobs where his non artistic skills could pay his bills, becoming a bouncer, private investigator, bodyguard, and debt collector. In the late eighties, he entered the Lee Strasberg Theatre Institute, and honed his street persona into a small time acting career. He currently lives on Long Island as freelance writer and runs a night club. 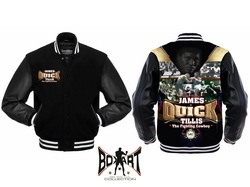 His passion for boxing never waning, he has long been a familiar face on the boxing scene, friends with a multitude of boxers over the decades. Rich was born in Waukegan, Illinois and currently lives in Round Lake, Illinois. He grew up with the sweet science throughout the 80‘s, occasionally watching boxing with his father and uncle. Rich was a big Julio Cesar Chavez, SR. fan and eventually became a huge boxing fan in the mid 90’s. 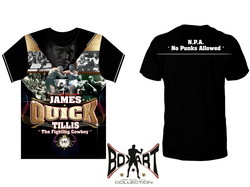 Currently he has a collection of thousands of boxing fights from all different eras. 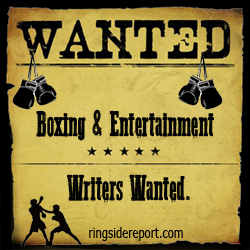 Rich is now looking to embark on a new journey as a boxing writer to contribute to the sport he loves. Born and bred in Aldershot, the home of the British Army, Tyler discovered at a young age that boxing and the noble art of pugilism was in his blood, with his grandfather having been a successful amateur boxer, winning titles for both his club and his regiment whilst boxing as a teenager and as a young man, serving in the armed forces. At 13 years of age, Tyler first picked up the gloves as a way to deal with his anger after he lost his father to cancer in 2009. It was from that point on that he fell in love with the sport and decided to dedicate his entire being to learn how to both box and kickbox. After a successful start to his competitive career, Tyler was diagnosed with cancer himself, but after a year of intensive treatment, he made it out to the other side. This is why he goes by the nickname of ‘The Miracle Man’, just like one of his heroes and inspirations – Daniel Jacobs. 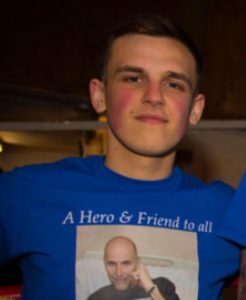 Now back to full health, Tyler has been training and competing on a regular basis ever since and is dedicating all of his spare time to his passions: training, studying and writing. He currently has his own; personal blog over at www.tylerwhite.blog and works at his boxing club, A.R.D. Training Camp, as a trainer and coach. “The Miracle Man” is looking forward to embarking on his next journey as a part of the RSR writing team! 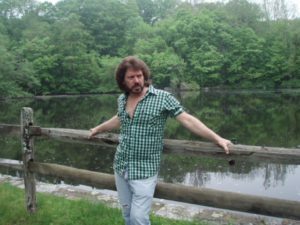 Brian Young is a researcher/writer/historian/lecturer/musician/ and cigar smoker from Western New York who has been a lifelong fan of the sweet science. He has researched and written about topics ranging from Victorian History to the American Civil War to Boxing history and early cinema. 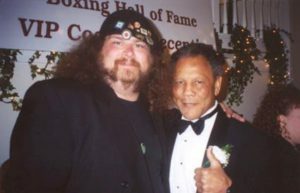 He has been published both nationally and internationally as well as appearing on numerous podcasts and radio shows and has been featured in documentaries on the Jack the Ripper murders, early cinema and The International Boxing Hall of Fame, the latter of which he has attended the induction ceremonies for the past 25 years. 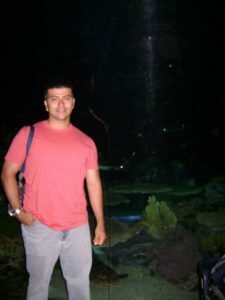 When not working on one of his many projects Brian is watching NY Yankees baseball, UCLA Bruins basketball, Buffalo Sabers hockey, Brisbane Lions Australian rules football, boxing, boxing boxing and trying to find time to sleep, all this while working a day job. Seth Bramson is America’s single most-published Florida history book author with 26 of his 31 books dealing directly with the villages, towns, cities, counties, people and businesses of the South Florida Gold Coast. His collection of FEC Railway and Florida transportation memorabilia is the largest in the world: it is larger than the State Museum’s collection and larger than the Flagler Museum’s collection. 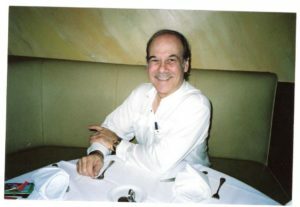 A graduate of Cornell University’s famed School of Hotel Administration, he holds Masters degrees from St. Thomas University and Florida International University, both here in Miami. He is Adjunct Professor of History and Historian in Residence at Barry University, Adjunct Professor of History at Nova Southeastern University’s Lifelong Learning Institute and Historian in Residence at FIU’s Osher Lifelong Learning Institute. In addition he was honored in 2008 by FIU when he was presented with the University’s highest alumni honor, the Torch Award for his community service. The founder of the Miami Memorabilia Collectors Club, his collection of Miami memorabilia and Floridiana is the largest in private hands in the country. He is now President of that organization as well as the Miami Pioneers/Natives of Dade, the county’s oldest historic organization, founded in 1935. He is now working on his 32nd through 36th books, among those will be the history of Miami Beach High School, to be titled “Beach is Dynamite: The History of Miami Beach High School and the Miami Beach Schools;” “Sunshine State Trolleys: The Street and Electric Railways of Florida;” “Jewels in the Sunshine: The Flagler System Hotels” and two more. Additionally he is the author of more than 300 articles on South Florida local and Florida transportation history including six in juried or refereed publications. He has appeared as a featured guest or commentator on Florida history programs on A and E, Discovery Channel, Florida Public Broadcasting, Fox FX The Collectibles Show, History Channel, Learning Channel and Turner South Network as well as all six local Miami television stations. Born and raised in Fall River, Ma, Huchel is the proud dad to a teenage son, whom he describes as a very intelligent and talented individual with a bright future ahead of him. Huchel devotes most of his time to taking care of others but makes time for what he’s passionate about. He considers himself a pop culture enthusiast, who from a young age, has loved the arts. Besides music and television, movies are what Geoffrey finds the most joy in as he explains, “For two hours you can escape from the real world and become part of the lives of these characters, as though you are right there with them, feeling what they feel whether it be happiness, sadness, fear etc….” Although he enjoys all genres, he gravitates toward horror and mystery. He also appreciates the films from Hollywood’s Golden Age and at times wishes he could’ve been around then to experience them in real time. In addition to spending time with his family and close friends, his free time is spent writing children’s books, short stories and screenplays. Huchel would like to express his support for all of the Boston based sports teams, which his family and friends will be happy about. Doctor Curmudgeon® has no idea of what will appear in this space. It depends on the Good Doctor’s mood and whatever shamans. Physicians, literary, political or philosophical figures (living or dead) are channeled at the moment. 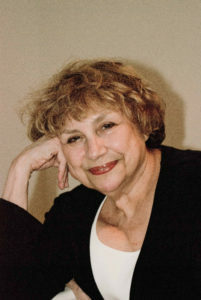 Her undergraduate years were completed at the University of Chicago, where she was an Early Entrant. The Chandler Medical Center in Lexington, Kentucky at the University of Kentucky handed over her medical degree and gave her further training. She has served on too many to count hospital committees, is in private practice with her husband, Dr.Eugene Eisman, MD FACP, an internist-cardiologist, and has been named a Distinguished Practitioner in the National Academies of Practice. Having been an Army wife, she has great respect for all those who serve and have served. Through many years of practice, surviving changes and an innate sense of justice, she has become cranky. Therefore she lays claim to the title of Curmudgeon. Bennett Bramson is a native of Miami Beach who escaped the warmth of South Florida for the safety, sanity, serenity, and scenery of Aspen, Colorado and the Roaring Fork Valley. 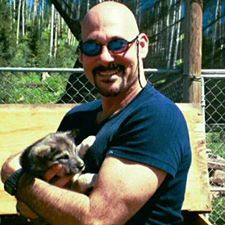 He is a nationally recognized business consultant, educator, motivational speaker, Realtor, and all-around nice guy whose greatest passions in life are volunteering and helping animals. He is a certified RENE, SRS, RSPS, and EcoBroker® with Aspen Snowmass Sotheby’s International Realty, one of the largest and most successful real estate firms in the nation. He is single and resides in Basalt, Colorado.